In this post, we are going to discuss a CSS Preprocessor called Sass or Syntactically Awesome Stylesheets. If you have been following our previous posts on LESS, we are sure that you are familiar with the CSS Preprocessor. Both Sass and LESS are CSS Preprocessors which primarily extend the way we compose plain-static-CSS in more dynamic way using programming languages like Variables, Mixins, and Functions. Before we can compose Sass we need to install it. Sass is built upon Ruby. If you are working on a Mac, chances are, you already have Ruby installed. If you may to install Ruby in Windows, use this Ruby Installer. If the installation succeeds, you will have the following notification in your Terminal/Command Prompt. The command line above will watch every .scss/.sass files in path/directory and whenever one of the files in that directory is changed, Sass will update the corresponding files or create one if none exists. If the watch command succeeds, something like this notification below will appear in your Terminal/Command Prompt. However, if you hate working through Terminal or Command Prompt, you can use some applications for Sass. The free option is Scout; it is built on Adobe Air so it can be run on all OS (Windows, OSX and Linux). However, it runs very slow as some have previously reported. So if you don’t have the patience for it, there are also some paid options. 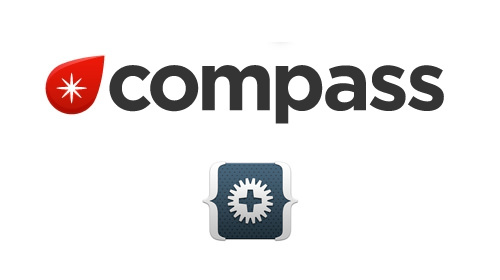 The price varies for each app, Compass.app goes for $10, Fire.app, $14 and Codekit for $25. Although Sass is primarily a CSS extension, your current editor may not highlight the syntax properly. 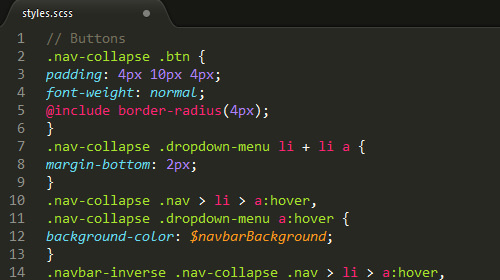 Fortunately, there are already some packages for almost any code editor to enable .sass or .scss code highlighting. If you are working with Sublime Text 2 like I do, you can use these packages; Sublime Text HAML & Sass and Sublime Text 2 Sass Package, and for an easier way, you can install one of these packages through Package Control. For other code editors, see below, or try Googling for it. Sass and LESS actually share some common languages, below are a few of them. The only difference from LESS variables is that the variable in Sass is defined with a $ sign. In LESS you may do a similar thing via Guard expression, which we have covered about in this tutorial. And that’s it. In the next post, we will start exploring the Sass languages and its companion, Compass. Stay tuned.